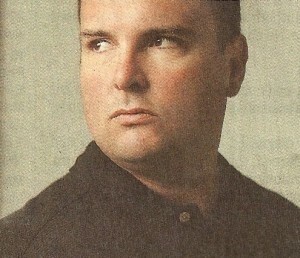 Robert MacLean of Ladera Ranch in Orange County was fired from his Air Marshal job with the Transportation Security Agency in 2003 for disclosing to the press that the TSA planned to discontinue assigning marshals to overnight flights from Las Vegas to save money, despite an airline hijack alert which prompted higher security concerns at the time. He appealed his firing as illegal under the Whistleblower Protection Act, and while the trial court ruled against him, the U.S. Court of Appeals for the Federal Circuit unanimously agreed he had a case, despite the government’s argument that such a precedent would encourage leaks that could threaten lives. But it has been a hard road for MacLean, as Teri Sforza reports for the Orange County Register. His case finally goes before the U.S. Supreme Court next month and, reports Jacob Gershman for the Wall Street Journal, lawmakers in both Houses of Congress and both parties are saying the viability of the WPA is at stake if the Court rules that the government can fire its employees for revealing anything that it pronounces—before or after the whistle is blown—as “sensitive” national security information. PreviousPaparazzi Laws Multiply; Brown Act Conflict? Thanks to the Public Records Act we’ve learned . . .